They’re easier than over easy but taste better than sunny side up. Basted eggs are the best eggs to make at home. When we originally decided to do this whole series on eggs, I had a bunch of different diner-style eggs on my list to make (think over easy, sunny side up, over medium, etc.). However, I then remembered that my favorite way to cook eggs beats those all, hands down. Ahhh basted eggs, how I love thee. 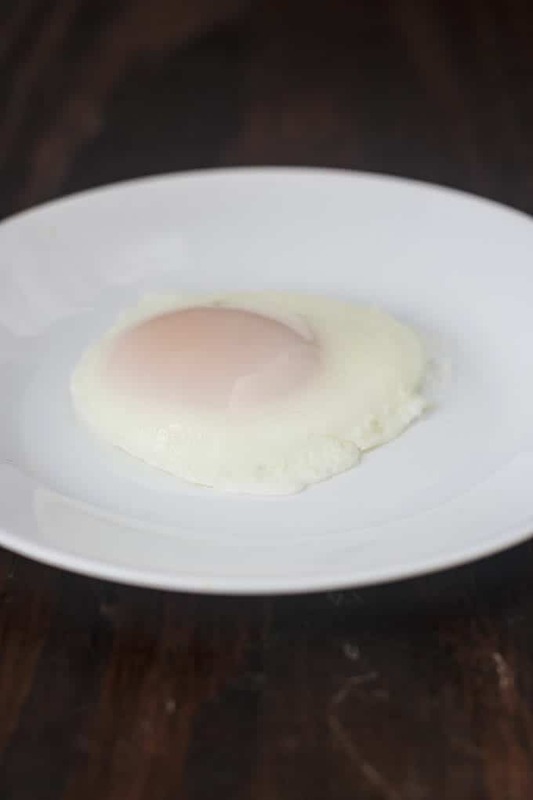 Have you ever made over easy eggs at home? It’s a pain. Trying to get that egg flipped without breaking the yolk. Yikes! If you want a dippable yolk but you don’t want to have to flip the egg, then you’re going with sunny side up. Much easier. The downside to that is that there is often this slimy goop over the egg yolk that doesn’t cook. 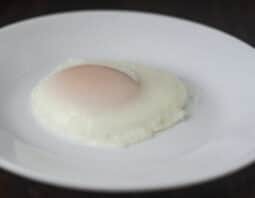 It’s exactly that stuff that you’re trying to cook when you do over easy eggs. Conclusion so far? Over easy eggs are annoying. Sunny side up have slime. So then, what if I told you that you could cook that slime without having to flip the eggs? You’d be pretty excited, right? That’s where basted eggs come in. 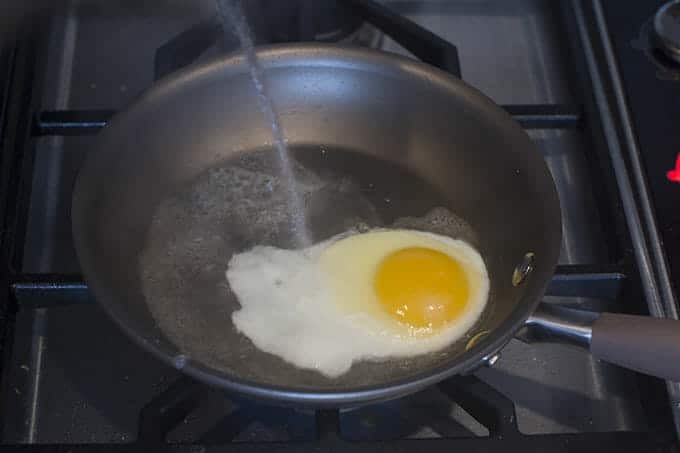 You start by making a sunny side up egg. When the whites are almost set, you add some hot tap water and a lid. What happens? The steam created from the water surrounds the yolk and cooks the goopy layer. I told you basted eggs are where it’s at! 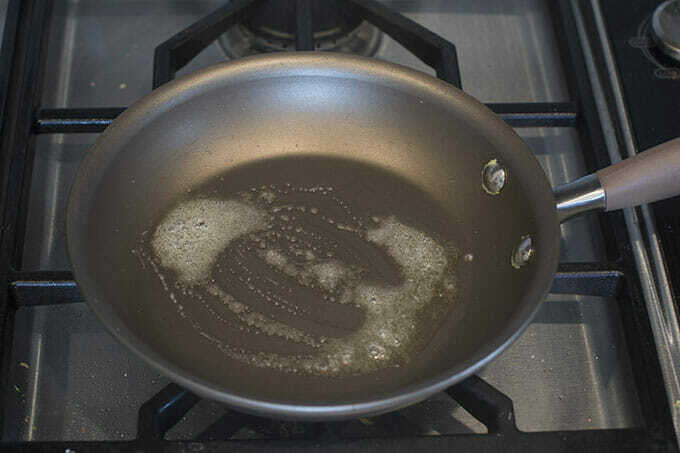 Melt some butter in a non-stick skillet. When the whites are nearly set, add a drizzle of hot tap water or recently boiled water from a kettle. Put a lid on the skillet. If you don’t have a lid for your skillet, a big sheet of aluminium foil will work. 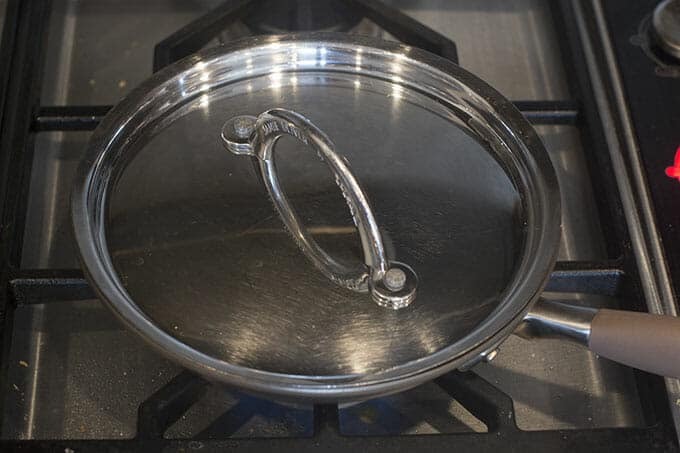 Note that the lid you use does not have to be a lid that came with the skillet. Any sauce pan lid that is bigger than your skillet will work here. 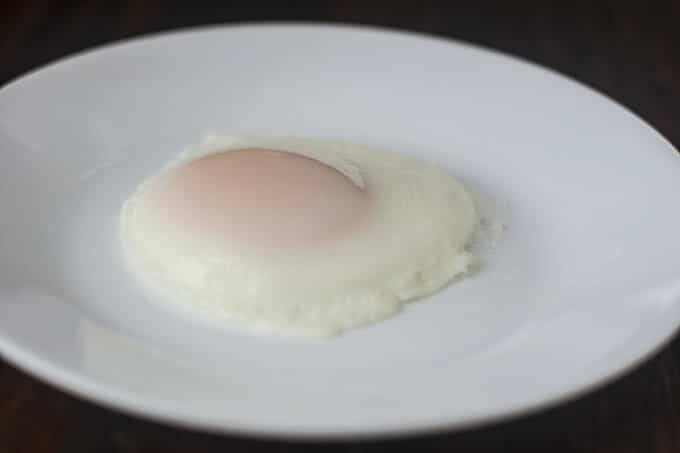 Let it cook until the steam has cooked the layer of egg whites that is over the yolk. About 30 seconds. If you like your yolks more cooked, you can let the egg steam for longer. Trim off any uneven whites if desired and serve. They're easier than over-easy but taste better than sunny side up. Basted eggs are the best eggs to make at home. Cook until whites are nearly fully set and then add the hot water to the skillet. Cover the skillet. 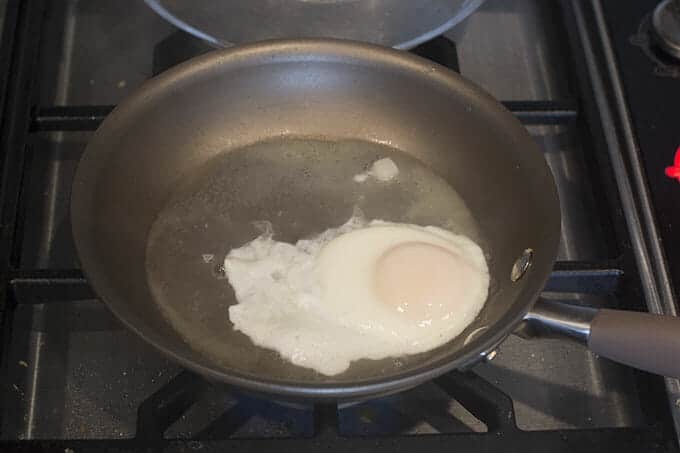 Cook the egg in the covered skillet until the whites are set and the thin layer of whites that tops the yolk has turned white as well. 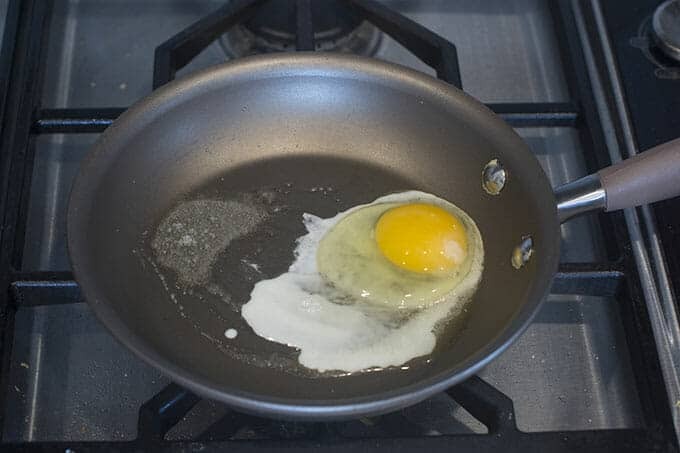 Remove egg from skillet. Serve.